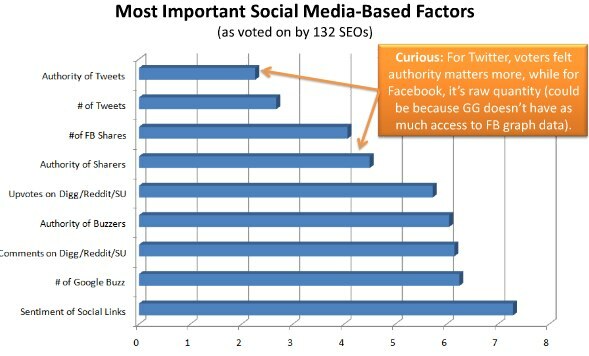 Page level link Metrics less important, social signals more important in ranking factors? 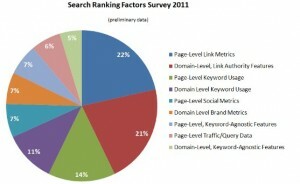 SEOMoz looks at what rankingfactors are important for Search engines (read: Google) every so many months/ years. 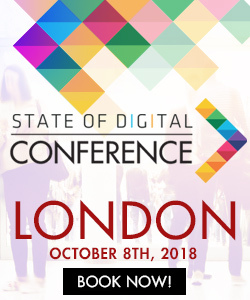 This year they again consulted many SEO experts to find out what they think are the important ranking factors to keep an eye on. At SMX Munich SEOMoz’ Rand Fishkin presented some preliminary results of that data and the data of research they did on over 10,000 keywords in the SERPS. The data is as said not definite yet but it is always nice to look at the findings so far. The preliminary research shows not surprisingly that social signals have become much more important than two years ago, but what it also interesting is that it seems that page level metrics have become a lot less important than before. Read some findings and look at Rand’s presentation below. Page level link Metrics is still the major factor but has decreased in value immensely since 2009. Where in 2009 the Link Metrics were named by 43% of the experts, in 2011 that was almost divided in two: 22%. So what has grown? It is not one thing that makes the difference here. Social Metrics is “new” and so is “Domain Level Brand Metrics”. Sentiment of Social Links is regarded as one of the main social ranking factors. Also important here is the “Google Buzz” around the topic and the authority of the buzzers. Google seems to be looking more and more at how valuable the sharer actually is. Strangely enough, even though Google doesn’t fully index Facebook, the Facebook shares are suggested as being a major ranking factor. SEOMoz looked at which domains appeared most frequently in their SERP data. It turns out Amazon (27.46%) and Wikipedia (27.01%) are not surprisingly the most visible domains. However also About.com, Yahoo, Walmart and even expedia still have a top 20 presence. SEOMoz asked the experts how they see the future. The experts feel Social signals will have the most increase in ranking importance, meaning that Google will look at them more and more. Exact keyword match domains and the effectiveness of paid links will decrease the most. * According to Rand SEO’s think that links have become less important, or at least the power of links is less important. In that matter it is even less important than before to get many links, but even more important to get a good diversity of links. * Even though pages are optimized and ranked domains have a huge value too. * SEO’s think No-follow links might matter after all when it comes to ranking. The data correlation of Rand suggests they are right. * Page load and page speed is a becoming a bigger ranking factor. * More text could very well rank better. Long Titles and long urls however are bad for SEO. 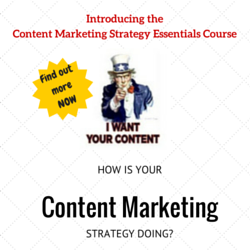 It is wise to use the keywords as soon as you can in your tags / documents. I off course am curious if you agree on SEOMoz’ findings or not. If Social Media will get more value than Links metric don’t you think that we will see a change in the way business socialize. I think (and hope) this is a great guide to SEO. you would think that social SEO will become increasingly important, and I think will have a huge factor in the next two years.. I was doing some research for an article i’m working on and came across this page. It has been very helpful and will be mentioned and linked to from my article which will have over 10 spins for different article sites. Its a great put together to keep in mind. I’m most concerned about the social elements. How important are they? What about sites that are not associated with any social sites that still rank high? Thank you. I do not see a correlation between a social network, and ranking for specific keywords organically. I do however see the effectiveness of having alot of “likes” on your facebook page, because then they could potentially go to your website, so I am not discounting the importance of social networking. I am simply asking how will that affect my organic rankings? Now about nofollow links they are exactly that, when a search engine comes to the link, it does not go to the website for the link, so no authority is passed, this does not however mean the search engines don’t associate or save the text+link, meaning no follows can still have some influence, but that it is negligible due to no authority being associated. This is just my opinon.